The Czech Freedom and Democracy Party – where do the legs grow? This is very similar to the disassembly of Russian dolls. You will open one, and inside one is another. Radim Fiala – MP from the Liberty and Straight Democracy movement (SPD), Tomio Okamura – collaborated with a young Russian man who was published on disinformation sites. This young man once linked the leader of the “Public Affairs” party (Věci veřejné) with Vita Barta with the Pirate Party. The father of the mentioned young man is a former officer of the Soviet Army. How is the Okamura party linked to Putin’s Russia? So the meeting with my source began – a person who worked in one of the Czech special services. In the cafe in the center of Prague we sat in September last year – talked about how Russia’s Russian espionage launches in domestic politics. At that time, this seemed to me a theme from another planet. I just finished work on the book about Andrei Babisha, and my head was completely unpacking the case of a fifty million subsidy to the farm “Leleche nest”. But the former special services officer in the soul was different. “Russia’s interests in our country are mostly political. They do not want to capture the Czech Republic with tanks, as in 1968. Now they have enough to have their people in politics “- he told me. And then, as far as I remember, he added: “Their general objective is to divide Europe by the migration crisis and, with the help of nationalist parties, to destabilize the political system of the EU. And also through the Visegrad Four to break the unity of Europe. After the October 2017 elections, I recalled this discussion with a former intelligence officer. 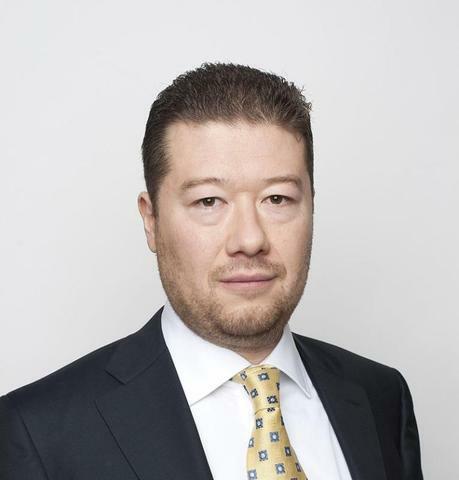 Party of Tomio Okamura “Freedom and direct democracy” became the fourth most influential party in the Czech Republic . SPD is called an extremist or national-populist group, and its positions are close to those that propagate Russian propaganda. With support of 10.64 percent of the votes, SPD received 22 mandates in the House of Representatives (out of 200 deputies – op. Perl.) . Subsequently, its deputies came to the leading committees, including the leadership of some of them. Such participation in the parliamentary government was never before in any such party (in the 90’s the Republicans of Miroslav Sladek, and not so long ago – the first formation of Okamura Svitanok (Úsvit). A few days after the parliamentary elections – October 24, 2017 – the Czech special service BIS released its annual report. It described in detail the various methods of “active measures” practiced by the secret services of Putin’s Russia. “Russian espionage from Western-style deployment in the style of the Cold War has moved to a higher level. Just as Russian hackers inside the Internet create botnet networks (when special software breaks down other computers and networks in different ways – ed. ), Russian intelligence services are essentially trying to create similar networks from Western politicians in thinking which they “penetrate, understand, and seize” – this approach fits perfectly into the whole system of hybrid warfare, “ BIS writes. And then he remembers the words of the former Russian spy VI Trubnikov , who is currently working as First Deputy Minister of Foreign Affairs of the Russian Federation. The next part of the BIS confirmed what I was talking about in September 2017 with the intelligence community. “It was in Russia’s interest to influence the internal social and political integrity of the Czech Republic, thus weakening the EU and NATO. If we summarize Russian activity in recent years in cyberspace, propaganda, operations in Ukraine, Syria, the kidnapping of an Estonian intelligence officer from Estonia to Russia, Russian border operations in Europe, it becomes clear that the EU and NATO are confronting the Russian hybrid campaign, “the BIS special service said. Shortly after the election, the media began to study profiles of newly elected lawmakers. It turned out that a number of deputies from the SPD postulated in social networks links to sites that systematically distribute misinformation. SPD MP Radek Koten was a member of the Facebook group supporting the referendum on the Czech Republic’s exit from the EU, as well as a pagewriter entitled ” We want to come with NATO and the EU, Russia is our true friend ” (Chceme pryč z NATO a EU – Rusko je náš opravdový přítel). In November 2017, Koten stated that he was not a Russian agent. “I have no links with Russia. I’m not even a misinformationist and not a Russian spy. The probability that a director of a company over there Zhdirtsya Doubravou I can contact Russian citizens, especially with Mr. Putin is very low “ , – said the kitten server Aktuálně.cz. Despite his activities, Koten was elected chairman of an important security committee. In addition, he became a member of the commission for monitoring the use of eavesdropping. Then I began to study SPD in more detail. The question was as follows: can the Okamura party be under Russian influence and thus be a risk to the state – did it get the pro-Kremlin brand groundlessly? After several weeks of searching, it seemed to me that as if I was holding the dolls – Russian wooden puppets empty inside. Inside one story, found another remarkable figure, after which the whole formula was repeated – the stories fit into each other as painted pupae. The smallest of dolls was the name that became known at the beginning of this decade – Wit Bart. Because the history of SPD begins precisely from this former policy and the former owner of the security agency ABL. From June 2010 to June 2010, Vit Bart was Minister of Transport in the government of Petr Nechas. And by April 18, 2012, he was also the head of the parliamentary faction of the Social Cases party, behind which, as it turned out later, there were some “baptized fathers” in Prague to retain power and influence. A series of scandals eventually forced Barth to leave the government, was found guilty and was sentenced to the transfer of money in envelopes to his own deputies, but the verdict did not come into force, and later the charge against Barty was withdrawn. Importantly, somewhere in May 2012 (shortly after the announcement of the sentence), a frustrated politician was fond of Sergey Pavlyuk, a young student at the Institute of Economics. By the time Pavlyuk was twenty-one years old, and in Internet discussions, he was distinguished by interesting views. “Today, I was interested in an article about direct democracy in the blog by Sergei Pavlyuk, a student of the economy. I am also interested in your opinion on direct democracy. I would be grateful if she was to be sent, “ Bart writes to her one-party members for” Public Affairs “in May 2012. What did Pavlyuk write about in his blog then? He brought the subject of direct democracy, which will later become one of the leading topics of Tomio Okamura. In August 2012, on one of the sites considered disinformation – Euportál.cz, – Pavlyuk unveiled a textentitled “EU – the killer and the grave of our civilization.” Somewhere in the same period a Russian-born student became an adviser to Vita Barta and began to seek support from other political parties. At the same time in the public sector of the Internet you can find information that at the turn of 2012/2013 Pavlyuk acted as an intermediary in negotiations with the Pirate Party. On January 9, 2013, the Pirate leader Ivan Bartosch announced that the meeting with Bartha will take place. “According to the results of the connection with the assistant of Vita Barty Sergey Pavlyuk on Thursday, 10.01. 2013 at 16:30, a meeting will take place with Vitus Barta in his office. During the discussion, I decided to take part and Vice-Chairman Yakub Michałek. Initially, the topic – Updating of Law 106 (“On Free Access to Information” – ed.) – is going to maintain and present to the “Public Affairs” our already existing proposals for amendments to this Law “, – said Bartosh. “On the basis of other indirect evidence, I believe that Burt’s Will mislead the foundations of other actors, including non-political ones (for example, Goleshov’s Recall), and this is in some way related to the demonstrations to be held near the date of self-immolation Yana Palacha,” adds Bartosz. Ivan Bartosch later on the pirate forum describes a meeting with Bartha as follows: “Although we were invited, Bart started with the question – why did we want to meet him? I denied, and Pavlyuk, who first turned to Mikulash (Fierenchik), explained to him what he was talking about. Although Bartha did not have the imagination, as stated in Act 106, he wanted to hear our feedback – whether we are converging with “Public Affairs” and in concrete terms. In the second part, I spoke about some kind of coordination of anti-government organizations, its interaction with Goleshov’s call, J. Boko and others. With what he said, I remember the repeated application of the expression “Uncork”. In this regard, I spoke very skeptically – hundreds of thousands manifested themselves in Spain, and nothing happened, and so many people are unlikely to reach the Wenceslas Square … Conclusion: We do not deny information exchange or the promotion of our proposals. If someone does not want another. The negotiations with the Pirates then ended up unsuccessfully, and Bart, in the end, united with Tomio Okamura. And in 2013 he became the leader of the list “Svitanok” in the Pilsen region. But the choice was not. However Pavlyuk on politics has not disappeared. He entered the Paratraparat of the Svitanok movement and worked as an assistant to deputy Radim Fialy. Fiala was the second most important figure in the party after Okamura. And also one of the few who remain faithful to Okamura during the split of Svitanok after the financial scandal in 2015. After that, Okamura and Fiala created the party “Freedom and direct democracy”. Together with Fiala, Sergey Pavlyuk also went over to her. Pavlyuk remained active on the Internet. For example, during the presidential campaign, he spoke against Karel Schwarzenberg. On August 17, 2013, on another suspicious web platform ePortál.cz, he wrote an article entitled “I Claim that Karel Schwarzenberg is a Bolshevik”. 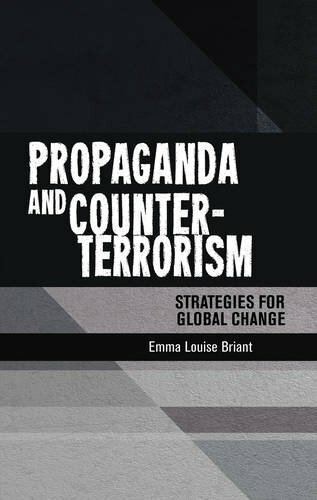 “How to call people who, in the name of the abstract ideal of democratic choice, admit to a concrete reality in the form of objectively bad governments and tens of millions of human victims throughout the planet? I call them “dirt from truth and love” – writes Pavlyuk. MP Radim Fiala and Pavlyuk clearly understood each other. And they also grew up in business. Moreover, it was in the period when the Dawn movement broke up, and Okamura and Fiala announced the creation of a new party, “Freedom and direct democracy” (SPD). Radim Fiala is a former politician of the Civic Democratic Party (ODS), which belonged to the sphere of influence of the “blue baptized parents.” And even today he maintains a relationship with the last of the lurking influence of the mogic of this era – Tomasz Hrdlicka. A significant part of Fialy’s business operates in the Prosteyev area, where it comes from. Its firms offer various cleaning and security services, trade, property management, and the sale of cleaning products. On July 16, 2015 Pavlyuk became a board member of IF Holding. He worked there until April 2016. During the same period Pavlyuk was the director of Facility Professional (now IFP Servis). Actual owner of both companies was Radim Fiala – due to his firm BS Kings. 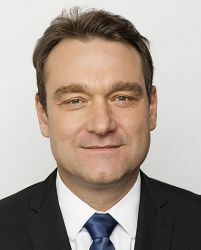 It is noteworthy that in April 2015, when the party SPD began to form, one more firm Fialy – Lifragin – entered a new investor – the company Venture Capital. Since 2009, the sole founder of Venture Capital has been some Ivo Tternovich from Ostrava. However, an interesting trace is the person of the director who made the decision on behalf of the company in 2011-2014. His name is Denis Kazantsev. This person is permanently residing in Moscow. His name is also mentioned in the Commercial Register as a member of the leadership of Pilsen Steel, a former company of the Škoda metallurgical plant in Pilsen; this successor to the renowned Škoda plant, along with another leading company Škoda Kovárny in 2004, was sold – and these two companies as a whole became part of the Russian company OMZ. In 2007, the Pilsen enterprises united under the same brand – Pilsen Steel. The current owner is the Russian concern United Pilsen. This enterprise is fully controlled by Russian oligarch Igor Shamis. Kazantsev worked as the director of the company Pilsen Steel at a time when the chairman of the audit committee of the company was just the oligarch Shamis. According to Russian media, this ambiguous businessman has a reputation as a man associated with Russian President Vladimir Putin. However, it should be added that the “Russian trace” in this part of history is only indirect. Personnel coincidences associated with the former firm Radim Fialy may be random – as well as suspicious coincidence in time: as already mentioned, the new investor came to the then firm Fialy during the SPD formation. Sergey Pavlyuk denies that he was a significant driving force of the SPD and a mediator in relations with Russia. “I was a mere assistant to a deputy. There was no party member. It was only a link of technical staff. Why are you interested in it? I am an ordinary guy who worked as an assistant and helped on social networks, “ Pavlyuk reacted annoyingly to a series of questions. But he emphasized that Fialy’s assistant stopped working at the turn of July-August 2017, “I quit politics and began to do business” – leads Sergey Pavlyuk. MP Fiala was not very inclined to communicate. Only confirmed that with Pavlyuk no relations no longer supports. The rest of the questions have not answered. Sergey Pavlyuk became a resident of the Czech Republic in 1997, when he was seven years old. Because his parents moved here. Father’s name is Oleg Pavlyuk. Born in July 1958 in the former USSR, and after moving to the Czech Republic, he settled in Ostrava. His father Oleg in the army was a military journalist. “We had our own newspaper in every military district. And such districts in the Soviet Union were about twelve. I have worked in many places. We were translated from one to another. He was in Central Asia, and then – in all possible places “ – told the magazine Reportér Pavlyuk Sr.
What then is true? “Yes, it is purely theoretical: I am interested in them, as a former journalist and a person with military education, could be useful to them. Apparently, therefore, the Czech security services believe it is possible. I would have made such an assumption in their place. But as I said – nobody contacted me “ – said Oleg Pavlyuk. Pavlyuk Sr. in the Czech Republic is engaged in business. Is a co-owner of the expeditionary transport company East Express . The latter specializes in the transportation of goods to Russia, Belarus and Ukraine. Co-founder is his brother Vadim – also a former officer of the USSR Armed Forces serving in the Navy, and then moved to the United States. In several other companies Oleg Pavlyuk acted as founder along with another former Soviet army officer Vladimir Vasiliev (according to public registers – Vasilev or Vasilyev). Pavlyuk met him in Kazakhstan. “We served on the Chinese border. I was a journalist, and he was the commander of a tank company. But we met because his mouth was one of the best. I wrote a report about them, “ says Oleg Pavlyuk. “I know that Vasiliev was in Kazakhstan, and then he was transferred to Germany. Later he came to the Czech Republic, settled in Ostrava, and we started our business. Now we have nothing in common. They met somewhere in 2011 “ – he adds. No relationship with the heirs of the Soviet special service – the GRU – Vasiliev, they say, also does not support. “At least, as far as I know, by 2011, when we had a joint business, nothing like that,” said Oleg Pavlyuk. According to sources in the Czech special services, people close to these two former officers of the Soviet Army actively participated in Ostrava as movement figures supporting the seizure of Crimea by Russia. They are also related to the activity of bikers “Night Wolves”, which are supported by President Vladimir Putin. The well-known figure of these infamous groups is Nela Liskova . (By the way, Liskova in Ostrava is located about 300 meters from the apartment, where the former former RA officer and businessman Vasiliev originally lived). Liskova is one of the main actors of the National Self-DefenseInitiative , which, according to her site, has a number of affiliates throughout the country (their names – for example, “Platoon of Dragons” and “Battalion of Moravia”); their official goal is to prepare for defense before the anticipated invasion of “hundreds of thousands” of Islamic immigrants. According to the website of the initiative, members of the “People’s Self-Defense” have the right to “wear a Chevron” form of organization – in the form, finally, Nela Liskova was photographed. Liskov is also known for having some time ago announced the establishment of a ” consulate of the DPR ” in Ostrava (an internationally unrecognized formation in eastern Ukraine, controlled by pro-Russian militants with the support of Putin’s Russia). Her “consulate” closed the court last summer . Sergey Pavlyuk, meanwhile, took up business. In May 2017, he created the company Videoefekt . She continued what she had already done for Okamurovtsev. His company is engaged in the creation and administration of public relations in social networks and sites. Pavlyuk prepares videos, presentations, makes in-depth analyzes and online communications audits. And also Internet monitoring. “My business is doing well. I do social network for dozens of different clients. This is much more interesting “ – says Sergey Pavlyuk. But she tries to show that the SPD and politics have nothing to do with anything else. Videoefekt declares the presence of nearly twenty customers. Among them is a company affiliated with the family of Vita Barti, a former member of the Public Affairs Department of Michal Babak, as well as a company whose share in the past year belonged to Tomio Okamuri. Interestingly client Videoetekt’u a restaurant Dašické sklepy . The one that belongs to entrepreneurs from Transcarpathian Ukraine. Its owners are members of the leadership of the World Council of Subcarpathian Rusyns; Former leaders of this organization have accused Ukraine of undermining the unity of the state in the interests of Putin’s Russia. When meeting in Dashica in 2013, the Ruthenians decided to cast their votes for Zemaana, for he did not make a difference between America and Russia. Owners of the restaurant Dašické sklepy in November 2017 were invited to a business mission, which Milos Zeman took with him for an official trip to Russia. An expert on the situation in Russia and a critic of the Putin regime Alexei Kelin, a member of the Council of the Government of the Czech Republic on national minorities, told Reportér that this summer in Prague, it is planned to convene a World All-Union Congress. “His task, among other things, is the creation of the Union of Slavic powers, to which a number of states with the Slavic population must move from the EU” – so Kelin describes what the efforts of activists in contact with Milos Zeman and SPD . As a result, is it possible to say that the Okamura party got the label of the pro-Kremlin organization without any reason? The above-described system of matryoshks, which includes SPD, a system where disinformation sites are involved, former Soviet officers – current Russian businessmen, as well as self-defense movements, are at least strange. Very funny. This smart analysis and expose of SPD facts that show that the involvement of Putin’s Kremlin Mafia tentacles extend the world over.